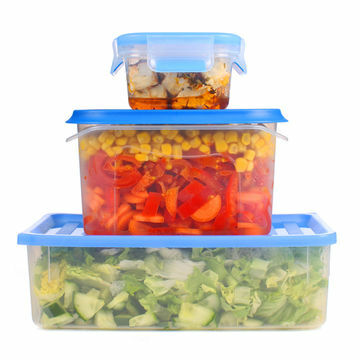 As time winds down to your due date, save your future self some serious kitchen time and prepare a few easy meals that'll keep in your freezer for weeks. 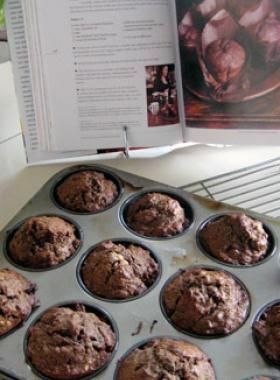 These chocolate banana muffins make an easy breakfast or quick snack and can be stored and reheated individually for you to pull as many out of the freezer at a time as you need. Oat bran kicks up the health factor and will help fill you up, while the addition of cocoa powder will allow you to indulge your sweet tooth. Make a dozen muffins with this recipe, or double it for nearly a full month of breakfast options. Another easy breakfast recipe, scone dough can be mixed, shaped and frozen without even baking. Just add a few minutes to the overall cooking time for freshly baked scones whenever you're ready for them with minimal effort and no clean up. 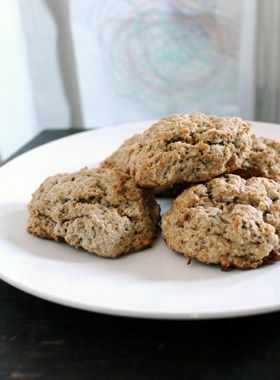 Using whole wheat flour to mix the dough makes this recipe a little healthier than most scone options. If you're concerned about the addition of walnuts affecting your breast milk, however, simply leave them out. Pulling one of these burger patties from the freezer and grilling it to perfection is much easier than attempting to pick up takeout with a newborn—and healthier too! A pound of lean ground beef, ½ cup of blueberries, ½ cup of old-fashioned oats and seasonings of your choice will make about four inch-thick patties. Defrost and cook until the internal temperature of the burger reads 160 degrees Fahrenheit and top with tomato and spinach for a nutrition-packed, easy lunch option. 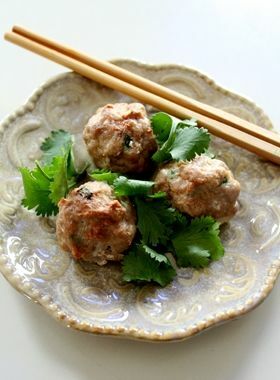 Meatballs are an easy answer to any busy day and can be served over noodles, as a sandwich filling or on their own as an appetizer. This recipe requires a mere six ingredients and takes only five minutes of prep time to make 16 meatballs. Freeze the meatballs and a batch of your favorite sauce recipe and make dinner for a crowd—or ravenous new mom—in a snap. 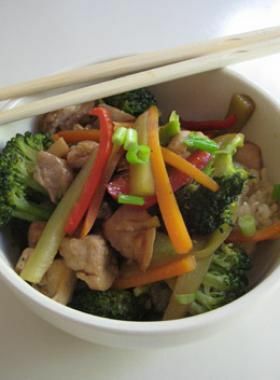 Stir Fry can be fully cooked, then frozen and reheated when you're ready for it or prepared, frozen then fully cooked. This recipe is packed with veggies that freeze easily, including carrots, peppers and broccoli and ginger root to help ease heartburn or any nausea. Once prepared, drizzle sesame oil and soy sauce over top of the final product and serve over steamed brown rice or noodles. If you're a vegetarian, swap out the chicken for tofu or seitan for protein or leave meat out entirely. There's no better winter comfort food than ravioli, especially one with a pumpkin and spinach filling. 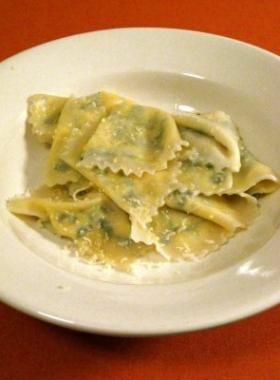 Use fresh pasta sheets or wonton wrappers for the ravioli and add a bit of grated nutmeg and maple syrup to the filling to bring out the pumpkin flavors. To freeze the ravioli, lay them out on a baking sheet after they've been stuffed until they harden, then transfer them to a freezer bag. To cook them from the freezer, boil in salted water for about five minutes and serve with butter or your favorite sauce. Soups can be a little time consuming to cook, but are the easiest recipes to freeze in bulk and take hardly any time at all to reheat for a quick lunch between feedings or doctor's appointments. 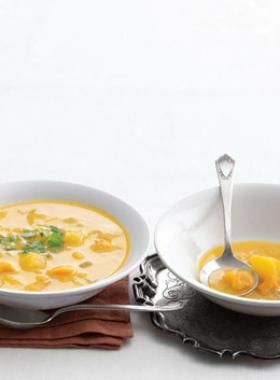 This curried squash soup, another fall staple, gets a kick from a ginger chicken broth, curry powder and coconut milk. To give your soup a rich, caramelized flavor, take a little extra prep time to roast the squash for 30 to 45 minutes. Save some fresh cilantro to garnish over the finished product or, if only soup won't cut it, serve over basmati or brown rice.